Ether was trading above the key support at $524 Thursday. There was an attempt to break the bullish trend and go down, but eventually the ascending channel borders did not change. 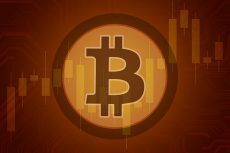 Before, Ether outlook was mixed, but now one can see the altcoin is rising, if not very actively, and its overall chances to form a steady uptrend increased, as Dmitriy Gurkovskiy, Chief Analyst at RoboForex affirms. 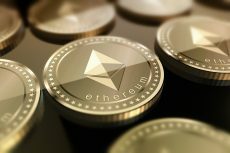 The breakout at $490 proved to be a false one, as Ether managed to recover quickly; this is a good signal for the investors. The local support is now at $487, and what does matter now is that the level separating the bullish trend from the bearish one at $502 is neutral. Thus, the key support for Ether is now at $502, the resistance have been broken out at $524 with impulse. The MACD is currently in the negatives, but is steadily rising and giving a buy signal, while the Stochastic is positive and rising at times, which also confirms the bearish signal. Fundamentally, there is not much for Ethereum this week. What is worth paying attention to is that the British economists created a theory upon which Bitcoin and Ether pricing could be based. This model is centered around two major things: number of users and mining transaction volume, representing the demand and supply respectively. 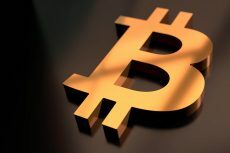 With the provider and the buyer being connected to one another, this shows a balanced approach to the cryptocurrency price. Meanwhile, Vitalik Buterin’s suggestion on limiting the number of coins issued is still being widely discussed in the markets. The discussion is still very alive partly because of Vlad Zamfir’s comments. Zamfir is famous for thinking outside the box; this time, he said limiting the number of Ether coins was not the best idea. Overall, this is unlikely to be serious, as Ether devs do not seem to have any shared opinion on how to continue developing Ether moving forward. Any comments in this light may be important if stated officially, while particular opinions m,ay be contradictory and not that significant. Another interesting event that occurred this week is Coinbase acquiring Cipher Browser. The latter is a startup company that developed Ethereum mobile wallet and is now busy creating a crypto app browser. This is good for Ether: as long as the coin is more accessible, the demand for it will be growing.